Prescription drug misuse, abuse, diversion, and overdose remain well-documented and significant public health problems in the United States. Years after the Centers for Disease Control and Prevention declared the problem a national epidemic, drug overdose deaths continue to increase across the country, and more than 6 out of 10 drug overdose deaths involve an opioid. Since 1999, the number of overdose deaths involving opioids has quadrupled, and more than 500,000 people died from drug overdoses from 2000 to 2015. This equates to 91 Americans who die every day from an opioid overdose. The challenges are no less significant in Wisconsin. Abuse of painkillers and their relationship with heroin addiction have come into focus in recent years as one of the state’s biggest public health issues. Data from the National Household Survey on Drug Use and Health indicate that about 4.3 percent of Wisconsin adults use heroin or another opiate for non-medical purposes. State-collected data also show that the number of overdoses and deaths related to heroin have been on the rise over the past 10 years. To curb the abuse of opioids and other prescription drugs, almost every state has implemented some version of a prescription drug monitoring program (PDMP). Nevertheless, studies indicate these programs remain underutilized as health care clinical tools across the country because they are too time-consuming and do not display the prescribing data usefully. Wisconsin implemented its initial PDMP in 2013. But after an additional series of legislation targeting opioid abuse was signed into law in early 2016, the state decided to pursue a more sophisticated system – one that supports health professionals’ clinical decision making by bringing their attention to the most critical information in their patients’ prescription history reports. The Wisconsin Enhanced Prescription Drug Monitoring Program (ePDMP) collects valuable information about controlled substance prescriptions from pharmacies licensed in Wisconsin and presents the relevant data in meaningful ways to enable health care professionals, law enforcement agencies, and public health officials to work together to reduce the misuse, abuse and diversion of prescription drugs. The new system went live in January 2017 and is administered by the state Department of Safety and Professional Services (DSPS). The ePDMP was designed using a “voice of the user” development approach. Officials interviewed real-world users to understand the problems they face, using this information to iteratively prototype and refine interface designs. The system also used terminology and icons to reflect how different user groups conceptualized their work. DSPS repeated the process using an agile development approach that solicited customer feedback after each two-week development sprint. This feedback cadence allowed for quick changes and enhancements to match user expectations. Potential users of the ePDMP include individuals with prescribing privileges in Wisconsin, pharmacists licensed in Wisconsin, substance abuse treatment professionals licensed in the state, medical coordinators at health systems (chief medical officers, etc. 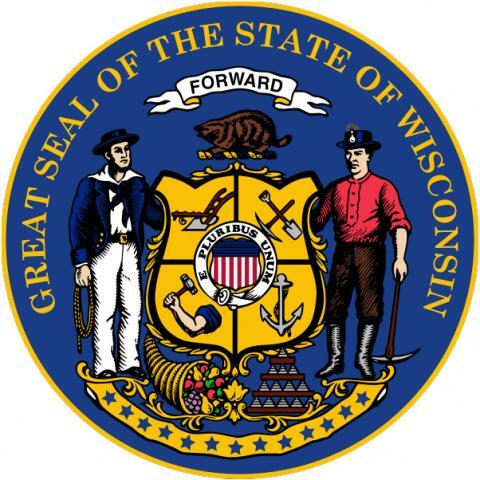 ), local, county, state, and federal law enforcement agencies in and around Wisconsin, and other government agencies, such as the Department of Health Services, as appropriate. The new system does much more than provide users with data tables to manually review and interpret. Instead, the ePDMP employs an innovative approach to the prescription drug monitoring program by presenting the data using analytics and visualizations. When health care professionals search for a patient’s name, notifications such as high current opioid dosage levels and potentially hazardous drug combinations appear at the top of the page as large, colorful alerts. The sophistication of the Wisconsin ePDMP is achieved by using analytics, alerts, and metrics to turn the ePDMP into a multi-faceted tool for clinical decision support, interdisciplinary communication, and prescribing practice assessment. Analytics: The ePDMP works to ensure health care professionals have more complete information about their patients’ controlled substance histories. The ePDMP analyzes the information collected from pharmacies to draw a user’s attention to the most potentially concerning information, such as high opioid levels or dangerous drug combinations that increase a patient’s risk of overdose. The ePDMP’s alerts do the heavy lifting by highlighting important patient information in more useful ways, leaving prescribers free to focus their time on patient care. Alerts: The ePDMP includes information entered by law enforcement users about suspected opioid-related overdose events, suspected violations of the controlled substances act involving prescription drugs, and stolen controlled substance prescription incidents. The reports appear as alerts on the prescription history reports of the individuals involved in the incidents, thereby providing additional relevant information to help inform prescribing, dispensing, and treatment decisions. Prescribers can also add alerts to patient reports to inform other providers about treatment agreements or overdose incidents. In that way, the ePDMP becomes a communication tool. Metrics: Metrics for prescriber self-assessment and the ability of medical coordinators to view that information are key features of the ePDMP. Prescribers can easily see their own prescribing history metrics compared to those of other prescribers in their specialty to determine whether they might be deviating from the norm. Prior to the ePDMP, prescribers lacked visibility into their own prescribing practices compared with recommended best practices. Medical coordinators who manage prescribers can also review the metrics and pinpoint unusual prescribing habits for the providers they oversee. Combined, these essential system components improve data quality, reduce errors, save time, and uncover irregularities, ultimately improving patient safety and saving lives. The ePDMP website provides prescribers and other health care professionals a means to review patients’ controlled substance history and to assess their own prescribing information. Law enforcement agencies, meanwhile, can review prescriber and patient reports and submit reports to notify prescribers of events such as suspected overdose events or controlled substance prescriptions that patients have reported as stolen. Everything about the ePDMP from registration through patient look up is designed to prompt only for the information necessary to complete the task. The system anticipates user needs, and presents the information without requiring additional clicks. Using single sign-on technology, the ePDMP is unique in its ability to interface directly with electronic health records (EHR), such as those created by Epic Systems. Linkage to the EHR system displays the patient history report and built-in analytics and metrics within the EHR, meaning health care professionals do not have to leave their EHR system and sign on to the ePDMP separately; the sign-in is handled in the seamless integration between EHR and ePDMP. This provides greater efficiency to users in evaluating a patient’s prescription history, and the link requires no ongoing maintenance for the health system. Furthermore, patient prescription history reports easily integrate into EHR systems without the need of a third-party. Most other prescription drug monitoring programs are unable to integrate their data into EHR systems without the use of external translation services. The ePDMP, therefore, preserves the analytics, alerts, mapping, and other functionality built into the patient report that is often lost when using integration intermediaries. This functionality ensures that all users receive the exact same information no matter how they access it. The Wisconsin ePDMP also uses application program interfaces (APIs) to deliver the analytics, alerts, and visualizations on the system and to the EHR. These APIs can be reused by DSPS to distribute the same information to other agencies or associations, allowing for easy integration into other systems. The data standards used to support the ePDMP are Rest, ASAP 4.2, and HL7 SMART on FHIR. Feedback for design of the ePDMP has been very positive. A March 2017 article from the Capital Times documented some of the encouraging reactions to the new system. Dexter believes that once more physicians are using ePDMP, patterns of abuse will be rooted out more frequently. The system’s usage statistics back up the positive reactions. The ePDMP has seen nearly 300,000 unique visitors since its launch in January 2017. The average daily visitors are about 9,500, resulting in up to 35,000 patient queries on any given weekday. The website has generated 72 percent returning visitors. In addition, simple changes such as eliminating unnecessary clicks, only asking for the information required, and automatically generating alerts have reduced the common complaints users typically have about other systems. The ePDMP has received national attention for its functionality, and was recently featured at the sixth annual National Rx Drug Abuse and Heroin Summit in Atlanta, Georgia. DSPS is committed to generating additional user feedback on ePDMP through user surveys and improving the system accordingly. The ePDMP also draws on iterative user feedback loops, in which a representative group of users influences the features, design, and usability of the ePDMP. Interviews are cataloged, tracked and fed into the software development process. Users request features, review designs, and test new features before release to assess usability and workflow. The users then promote enhancements and new features to their respective communities, including health systems, state and national governing boards, and associations. As of December 2017, ten health care systems in Wisconsin are utilizing the ePDMP integration channel to streamline the process of accessing patient prescription history reports in the ePDMP. They have provided positive feedback on their experience utilizing the integration channel.